How are things going for you on social media? I remember sometimes being a bit fuzzy with my answer to that question. I’ll have been really enjoying sharing and engaging with people, forgetting completely about the awesome stats and analysis at my fingertips. And knowing these social media stats can be incredibly valuable—for connecting deeper with my audience, for curating finely-tuned content, and for growing a following and a brand. So where do you go for these important social media stats? And what do you do with them once you’ve found them? I’ve been fortunate to spend some time hunting, gathering, exporting, and exploring the social media stats for myself and for Buffer. I’d love to share what I’ve learned along the way about finding the best social media stats and creating some cool reports. One of the first hurdles I come to with analyzing my social media efforts is knowing where to look for the best stats. There are tons and tons of great stats out there (Courtney explained 61 of them, wow! ), most all of which can lead to some keen insights. Where do these stats live? Here’s a look at what each of the six major networks offers and where to look for each stat. Likes – Facebook gives you the name of three people who’ve liked the post then tells you how many others have liked also. So for an exact figure, add 3 to the “+ others” digit. Quick tip: On any individual tweet, you can click the bar chart icon next to favorites to open up a detailed view of the stats for that tweet. Here are links to each of the dashboards. If you’re logged in when you click, you’ll be able to see stats right away. Here’s a bit more depth into each of the above dashboards. 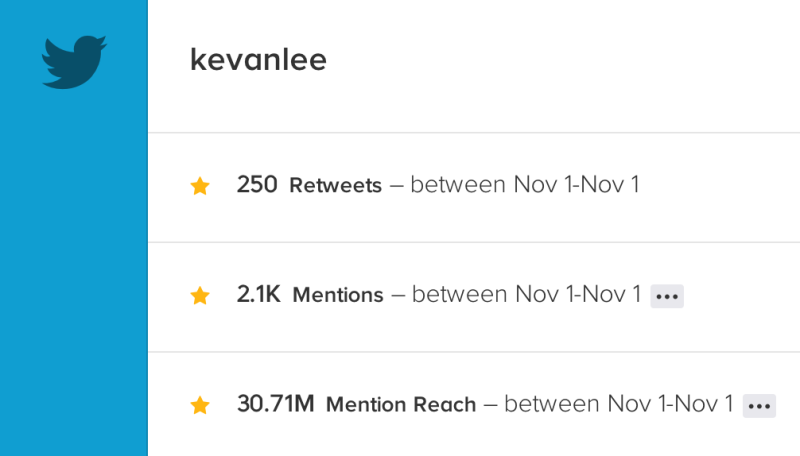 Twitter provides a 28-day overview of how your tweets have performed in all the major engagement areas—retweets, mentions, favorites, and clicks. One of the most useful bits of analysis here is seeing the impressions of each tweet (the same thing as Facebook’s Reach stat). The Pinterest dashboard shows growth in impressions and followers, audience stats, and website engagement. 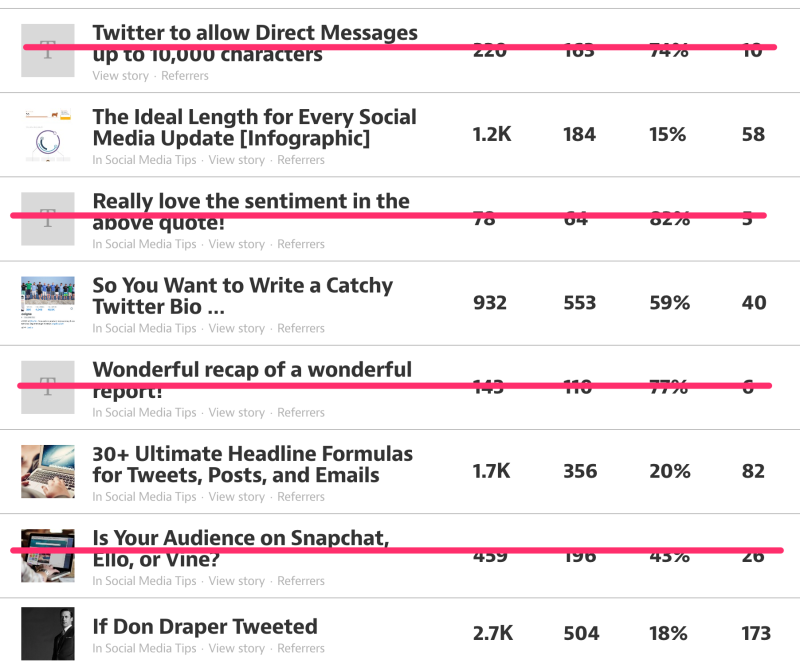 You can click into more in-depth reports for each of these and see which posts and boards have performed the best. Pinterest analytics is available to business accounts; you can convert a personal account to a business account for free. LinkedIn collects tons of information on who’s viewed your profile and shares it in charts and graphs that show how your views have changed over time, which similarities exist among those who view your profile, and suggestions on who to follow and how to fill out your profile to maximize your new opportunities. 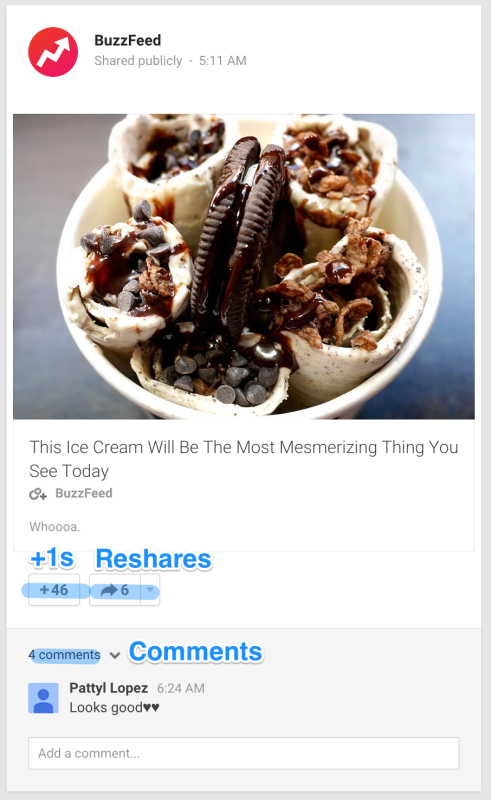 The insights at Google+ show you visibility, engagement, and audience overviews. There’s not a whole lot of room to drill down deeper into these stats, which makes them great for quick-and-easy snapshots. I’ve found myself using this method quite a lot when I’m a bit new to a network or looking for some quick analysis of a handful of updates. 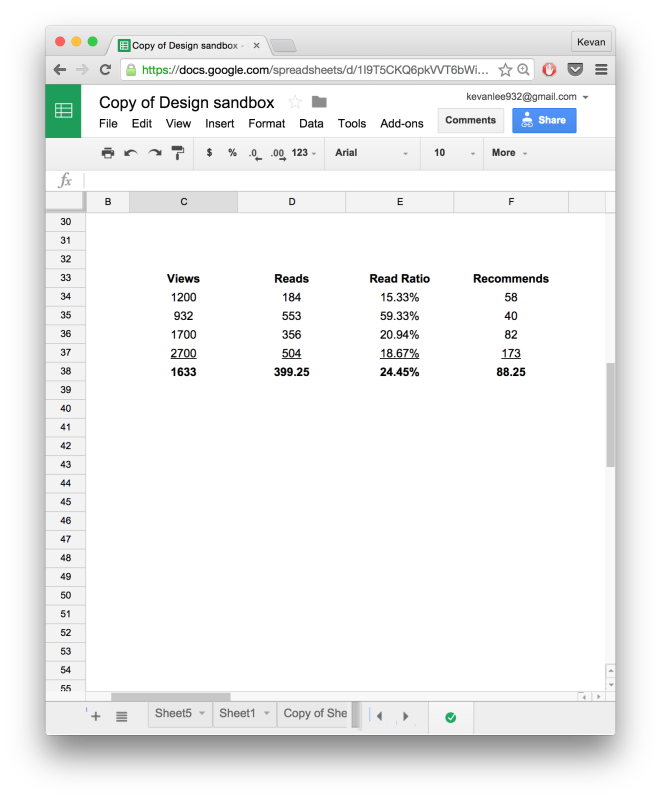 Google Drive makes it easy to create very basic spreadsheets that I can fill with some numbers. Here’s an example of one I keep adding to with quick and random data. In some ways, I’ve found that having a low barrier for entry into stats sometimes makes it easy for me to get started. If I know I’m just going to spend five minutes browsing my timeline and doing some basic data entry into a spreadsheet, that seems like a task I can take on rather easily! This method has been particularly useful for me when coming up with quick averages for clicks, reshares, and total engagement. On the social media dashboards—either the ones from the networks themselves, or the ones from tools like Buffer and SumAll—you get to see your stats placed into some really neat visualizations. The one caveat that I’ve found lately is that the charts and graphs that come built into different dashboards offer a somewhat broad look at statistics. If you’re interested in a specific stat that’s uniquely valuable to you, there could be some better routes. If you’d really like to dive deep into the stats, you can export the raw numbers to analyze however you’d like. The .csv format is more of the universal format since it works smoothly in whatever spreadsheet software you use. The csv stands for comma-separated values, as it’s just a file full of numbers and names separated by commas. The .xls format works great for anyone using Microsoft Excel. In our post about social media benchmarks, we floated out the idea of finding a personal success metric for your posts. By looking at your own data, you identify a standard that you want to achieve. Trended Benchmarking: Setting goals, projections, and standards based on previous activity. This goes hand-in-hand with baselines, which are like standard performance measures for any given post. We’re currently taking the baseline approach on Medium, where we’re quite new to things and not at all sure what type of engagement numbers might be typical for us. To find out, we’re posting multiple times and looking for a sample set of data. We’ll throw out any outliers and get a baseline measure with what’s left. And here’s what that baseline might be! By comparison, on a network where we’ve gained more history and context—a network like Twitter, for example—I’ve got a pretty good feel for the baseline: 150 clicks per tweet, 20 retweets. Any time a tweet exceed those numbers, it’ll catch my eye and I can use those statistical insights to repost and improve any updates going forward. This last method kind of secretly includes elements of all of the above. With an intuition-based approach, you use the experience, history, and context from noticing your social media stats in all these different ways, and you end up having an intuitive feel for what’s working and what’s not. It’s probably quite silly of me to mention a stats-less approach in a stats article. Yet I’ve found this to be a method that I turn to more often now that I’ve spent so much time in the analytics of Buffer’s social media posts. I’d love to hear if this last one resonates with you, too, if you’re in a similar position! If you’re interested in analyzing the data yourself, there are tons of cool ways to do this. 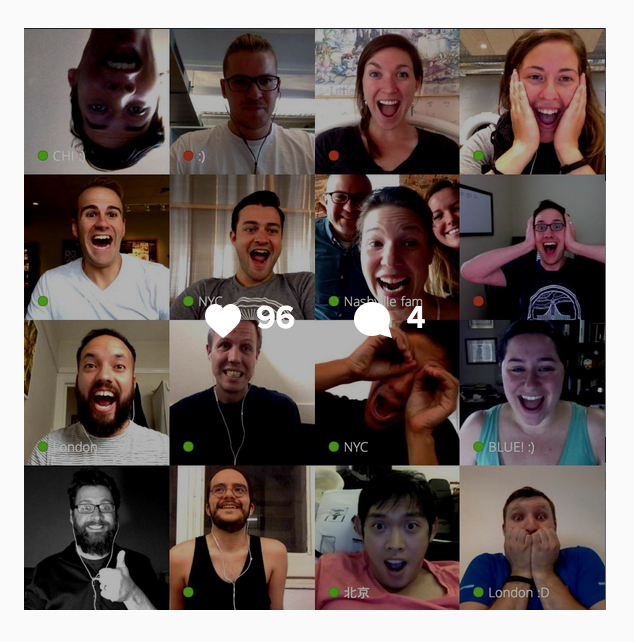 Here are just a few that we’ve used at Buffer and we’ve been inspired to learn from others. Here’s a fun one. Let’s say you value clicks more than anything. Is there a way to reflect that in the total interactions? We’ve played around with some ideas here (I’d love to hear any advice from more statistically-minded folks than me!). What I’ve come up with is a formula that multiplies clicks by a factor great than that of likes, favorites, and reshares. One way to counter the influence of outliers (values that are waaay higher or lower than the rest) is to go with the median, or middle, value. With the average, you total everything up and divide by however many entries you have. Average can be skewed in either direction by values that are either extremely high or low. With median, you line everything up from least to most and you pull out the very middle value from the list. Tip: Use both median and average to get a complete picture of where your baseline really is. The A1:A2000 values represent the cells of the data you wish to analyze. This is a great one for comparing engagement across networks. For instance, you can compare Instagram versus Facebook, even if your Facebook followers vastly outnumber your Instagram ones. How many of your followers will see every update? 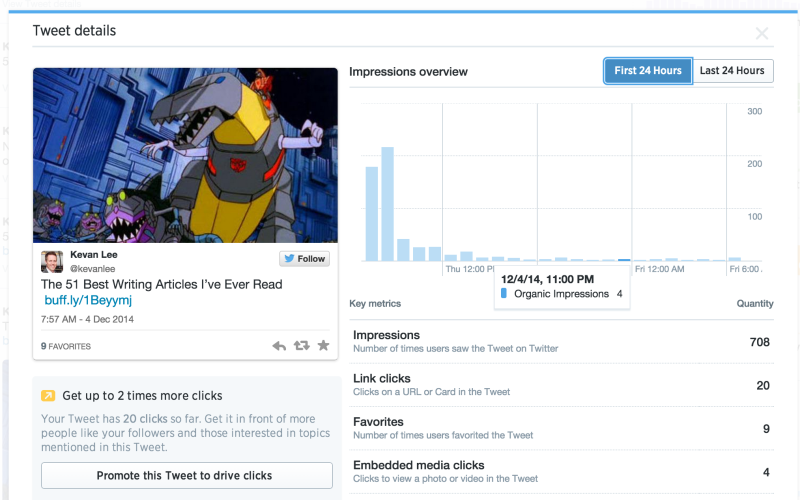 To find out, you can take your impressions data and divide by the number of followers you have. This’ll give you the percentage of followers who typically see each update. This is getting a bit deep into the mathematical side of things (feel free to skip ahead if you’d like). What standard deviation can tell you is which updates are really doing amazing, above and beyond all the other updates. 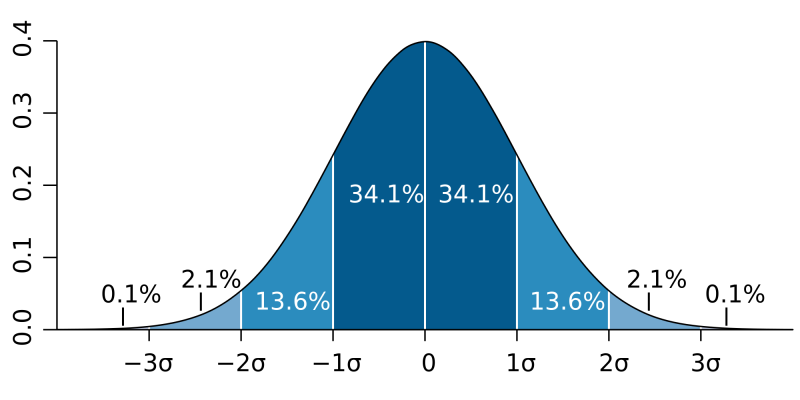 If you picture a bell curve with all your updates placed into the inside of the bell, the standard deviation is how your values will be dispersed within that bell. More than two-thirds of your updates (68%) are within one standard deviation. Nearly every update (95%) is within two standard deviations. Outside of that is when you’re getting into the really stellar performing posts. What I’d love to do with standard deviations in a spreadsheet is to apply a bit of conditional formatting such that anytime a value is more than two standard deviations away from the mean, the value gets highlighted. 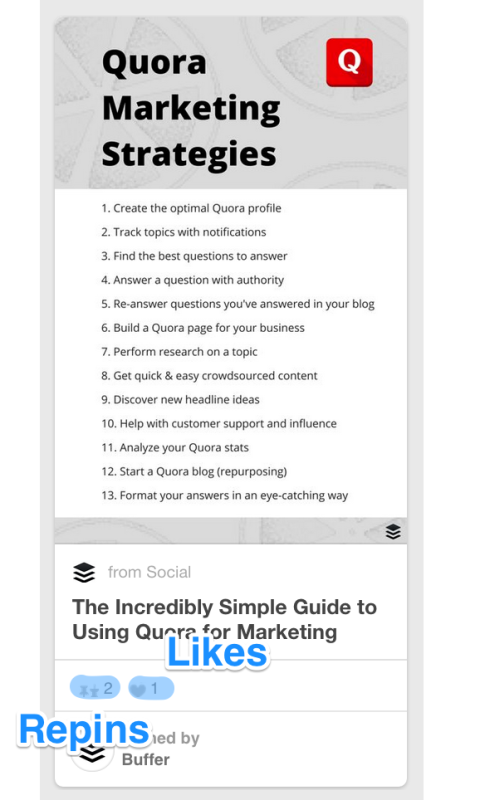 We’ve gone with a few fun methods of sharing all the cool data from our Buffer stats as well—everything from passing around a spreadsheet to emailing each other some screenshots. 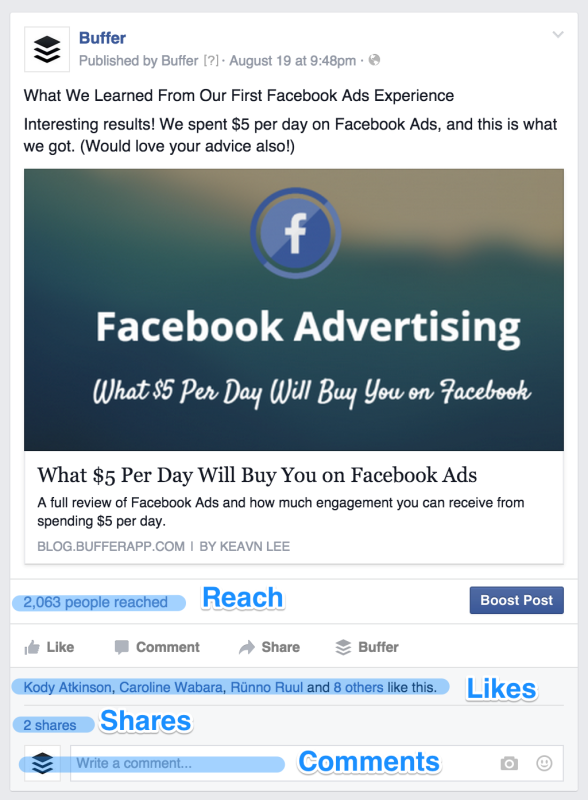 Here are some possibilities for sharing your social media stats and insights. 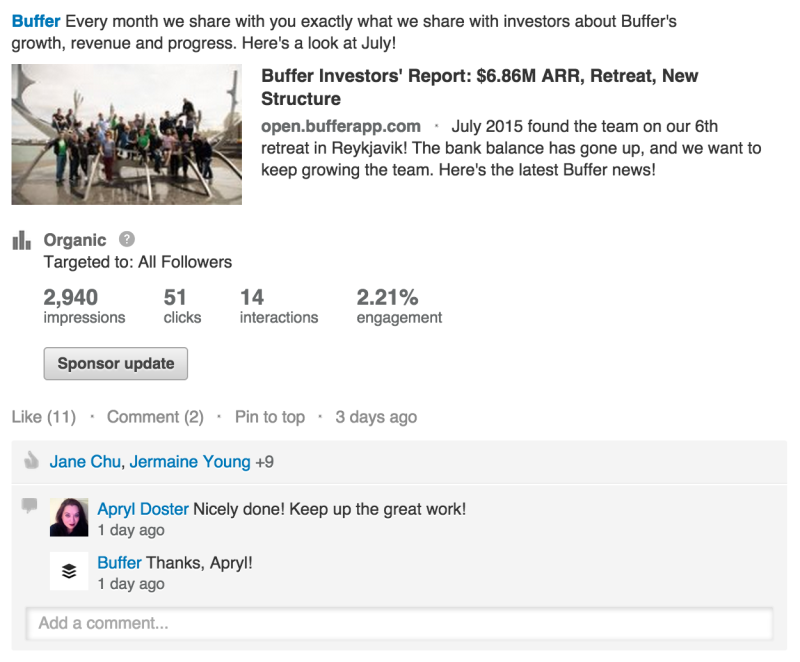 On occasion, we’ll log into our Buffer analytics and grab screenshots of what we find in there. These can be easily added to blog posts or sent along in our chat rooms or emails. 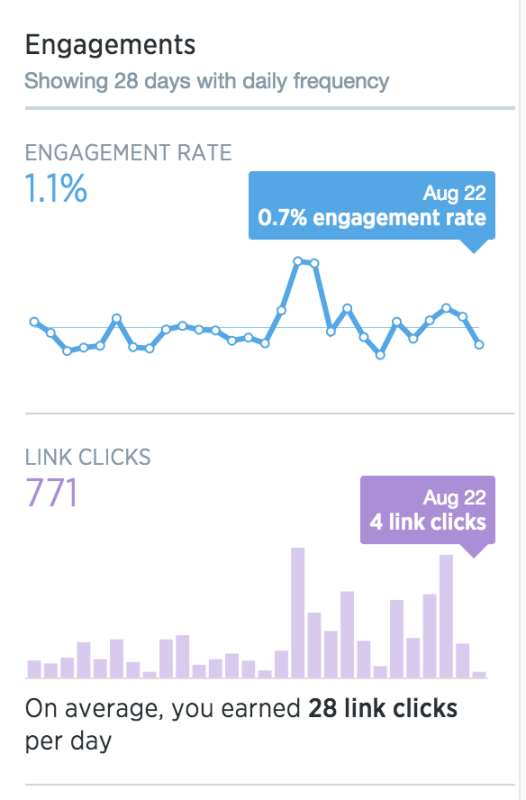 We often like to grab screenshots of the charts and graphs, both in Buffer and in the beautiful visual analytics of places like Twitter (pictured below). SumAll makes this one super easy with their daily or weekly email digests. You can sign up to have these delivered for whatever network you choose, and once it arrives, you can forward around to your team. 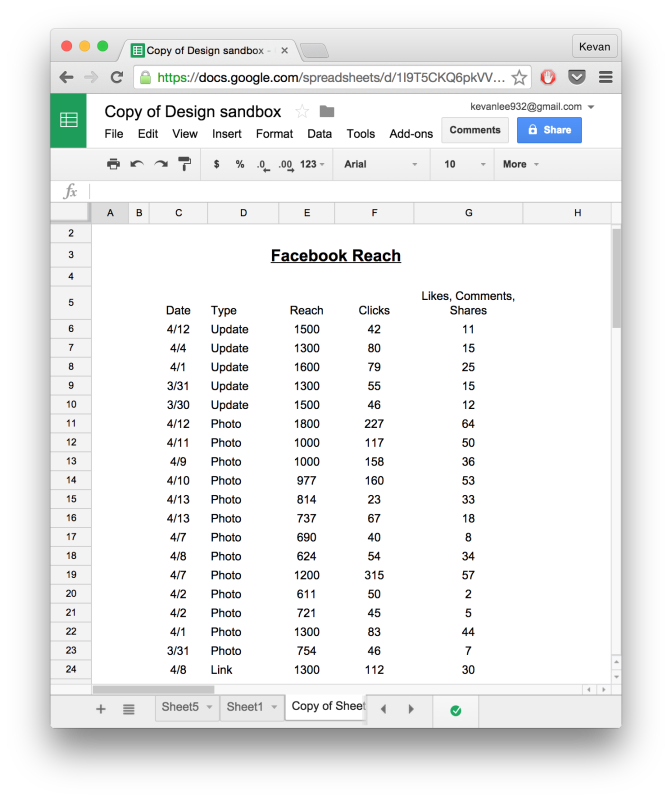 Working with collaborative spreadsheets like on Google Drive, we can easily invite one another to hack together on some social media stats. 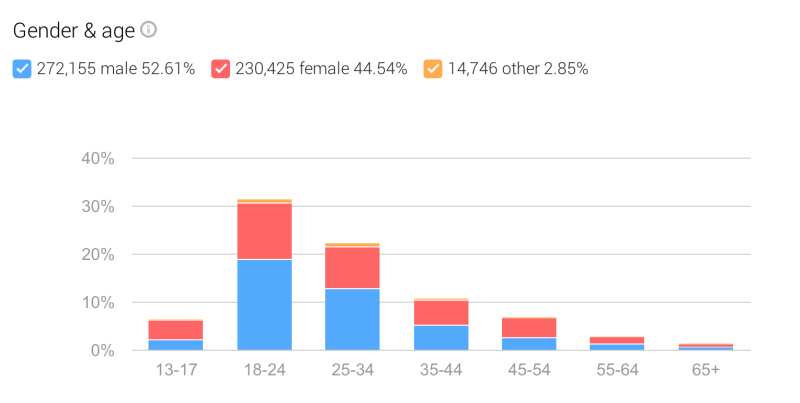 It works great, too, for sending monthly or weekly reports, since you can create charts and graphs right from within the spreadsheet using the data from the cells. 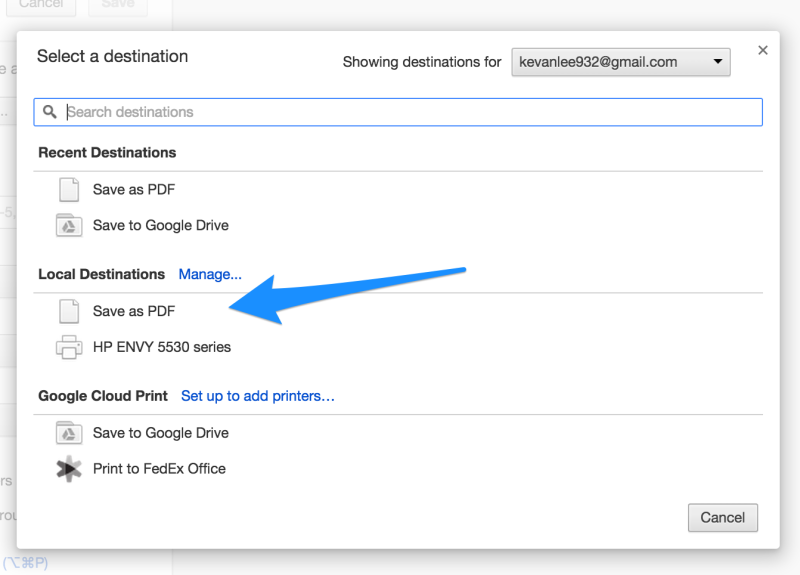 One useful way that we’ve heard lots of folks enjoy creating and sharing reports is as PDF documents. You can export a spreadsheet or document as a PDF, using the File > Export options from within your editing program. SumAll creates PDF reports that can be downloaded and shared. 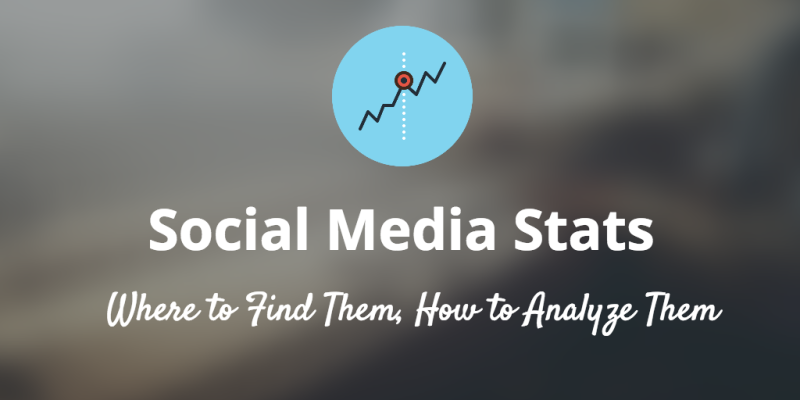 What have you discovered to be most helpful to you with finding and analyzing your social media stats? Are there any strategies you’d enjoy us to go into further detail with? It’d be a privilege to hear from you and to discuss!